Incoming President of the Caribbean Court of Justice (CCJ), Justice Adrian Saunders Thursday night declared that the inconsistent application of the rule of law in Guyana is a major barrier to the country becoming the most prosperous country in the region. Delivering a presentation on the topic “The Rule of Law and the Caribbean Court of Justice” at the University of Guyana’s 4th Conversation on Law and Society, he said Guyana- a “very beautiful country blessed with enormous riches and a wonderful creative people” could only become prosperous if the rule of law is applied properly. “The only thing that stands between you and prosperity is the consistent and thorough application of the rule of law. If, like any other country in the Caribbean you can get this right, but particularly Guyana- because you have these enormous riches-if you can get that right, then this country will be a shining light for all of CARICOM (Caribbean Community),” he said. 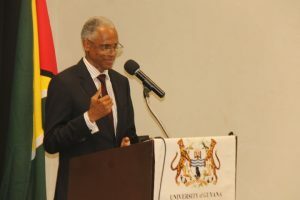 Justice Saunders lamented the state of the Caribbean’s criminal justice system, saying it threatens the rule of law due to insufficient investigations and limited forensic proof that result in the freeing of perpetrators. Another major stumbling block he cited was the “inordinate lengths of time” that prisoners are on remand awaiting trial. 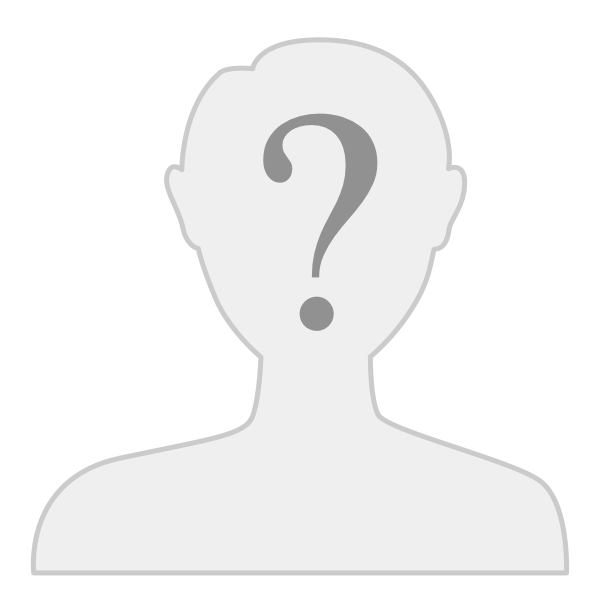 Reflecting on 2013 statistics that shows that 35 percent of Guyana’s prison population was on pretrial detention, he called that “very high” although Trinidad and Tobago, with more judges and magistrates than Guyana, remanded prisoners are about 60 percent of the total number of prisoners. A section of the audience at the University of Guyana’s 4th Conversation on the Law and Society. “To my mind, high levels of pretrial detention represent… a serious human rights abuse and this something we need to do something,” he told the audience that was made mostly of members of the legal fraternity who included House Speaker, Dr. Barton Scotland; former House Speaker, Ralph Ramkarran; Chancellor of the Judiciary, Yonette Cummings-Edwards; Chief Justice, Roxane George-Wiltshire; Chief Magistrate, Ann Mc Lennan; former CCJ Judge, Duke Pollard; Law Professor, Harold Lutchman, several High Court Judges, lawyers and senior officers of the Guyana Police Force. 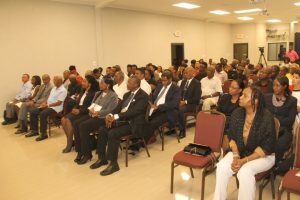 No government minister or high-profile opposition parliamentarian attended the event that was held at Duke Lodge, Kingston, Georgetown. Other deficiencies, Justice Saunders identified, include no effective criminal case management system and insufficient mechanisms to serve the “peculiar needs” of women, young girls and vulnerable persons. “We have a criminal justice system in the region that is broken in many countries and tacking it is difficult because it requires the coordination of several different systems, each with its own priorities,” he said. The CCJ President-elect called for the prisons, prosecutorial authorities, police, executive, Bar Association and defence lawyers across the Caribbean to “sit together and be on the same page and agree to a raft of policy proposals that will carry the system forward and that kind of conversation needs to take place among those various stakeholders”. Justice Saunders identified several elements of the rule of law including legal certainty, procedural fairness, access to justice, independent and impartial judiciary, and protection against abuse and arbitrary use of power.